William Scott Anderson, one of the highest rated entertainers on the West Coast, is a special breed of performer. 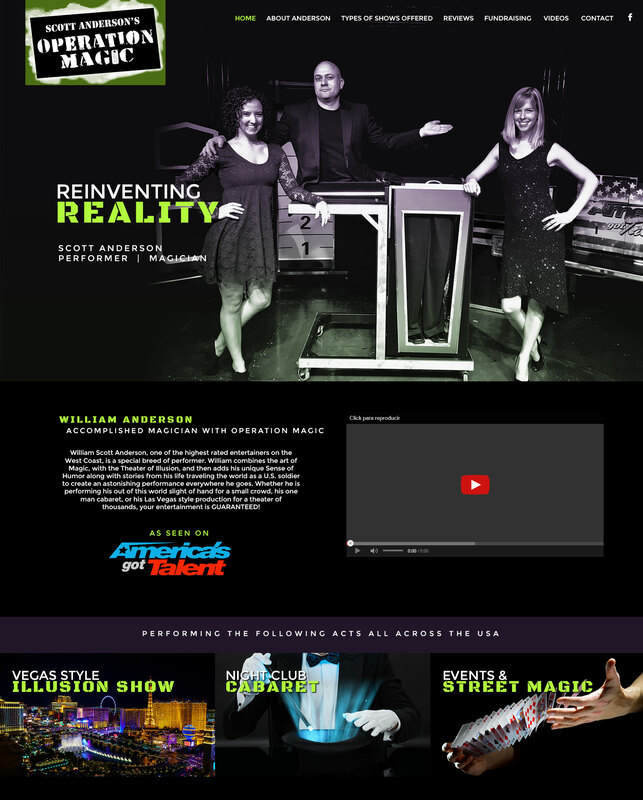 William combines the art of Magic, with the Theater of Illusion, and then adds his unique Sense of Humor along with stories from his life traveling the world as a U.S. soldier to create an astonishing performance everywhere he goes. Whether he is performing his out of this world slight of hand for a small crowd, his one man cabaret, or his Las Vegas style production for a theater of thousands, your entertainment is GUARANTEED!